Don't have a contract with us? Don't worry! 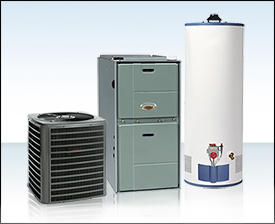 BFS is here to help with all of your HVAC and appliance needs, whether you’re an existing customer or brand new to the BFS family. When your home’s HVAC system or appliances has a breakdown, simply call your local office and they will send a technician out to diagnose and fix the problem. With company employed technicians running out of our local service centers, we are able to keep our prices at an industry low, and focus on quality control from start to finish. When your home needs HVAC support of any kind, BFS is prepared to respond with an expert assessment of what you need, professional technical support, and many financing and savings options. To help you afford any new equipment you might need, read about our home improvement loan financing – and save even more with BFS, manufacturer, and government incentives and specials. We are always happy to come to your home to provide you with a free estimate for equipment and labor, following a thorough inspection of your home’s and family’s unique heating, ventilation, and air conditioning needs.